A major key performance indicator (KPI) that sets our Mobile Conquesting apart is being able to track if someone saw an ad and physically walked into a store, as long as their GPS is enabled. Typically, this data is tracked throughout the duration of the campaign, but we’ve found visits continue to across days after a campaign has ended. To make sure we are capturing all information relevant to a campaign, we’ve extended all visit data to be tracked up to 14 days after a campaign as ended, so marketers can continue gathering data without the ad spend. In the past it was difficult for mobile marketers to look at individual store impact when it came to visit data. For instance, let’s say you were marketing your store and you have 10 locations around the area to track visit data. As an ad buyer, you could see the visit data to all 10 stores combined, but breaking out individual store visits was extremely tricky, mainly because they are all lumped into one line item of buying. Advancements in visitation technology has now allowed us to not only run one campaign to as many locations as you want within one campaign, but also break down individual store visitation data so you can see which stores had the greatest impact with the marketing campaign. We’ve already rolled out breaking out location data by zipcode (so if your store is in different zips- by location) and will roll out breaking out two stores in the same zips by the end of the year. Geo-Fencing, or targeting every mobile device within a fence regardless of the demographic or behavior of the individual (also called geo-farming), is a common technique utilized in a majority of our mobile campaigns. Let’s say you wanted to target users who have been to every Home Depot in an area, or every high school – there are broad categories that you can run to target anyone who has walked into these locations. In the past, our data has been very high-level, meaning you had a broad category of those geo-fenced in a Home Depot, but without that knowledge of which specific Home Depot you are targeting. 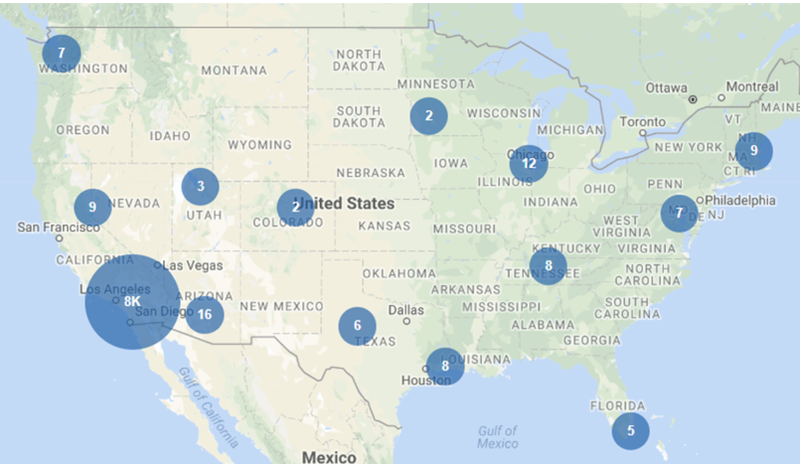 We have enhanced our data, so we can now get visibility into geo-fenced location category building, so you can see a list of every address of every Home Depot we are targeting, adding greater transparency to our ad buying.